Not long ago I was talking to impressive parents about their young child. I was told his first words were: “No – me!” The loving parents talked about the daily struggle to convert their child’s almost inherent selfishness in so many ways. In their role as prime educators of faith, they found themselves constantly attempting to persuade him to adopt the superior “Yes – you!” attitude. Surely this “conversion” is not simply focused on childhood. It is a life-long quest. On the one hand it is always sad to encounter such deep seated selfishness in an adult. On the other hand, what a joy to meet people and communities who have their attitudes and actions directed towards others – especially the frail and vulnerable. For Catholics, especially during Lent, the Sacrament of Penance (Confession) is a great help to our spiritual lives. We confess the times we have been selfish. We are truly sorry for these sins of our lives (contrite). We go to a priest to confess because he acts as a particular minister of the merciful forgiveness of Jesus alive in the church. The priest, in the name of Jesus, absolves us of our sins. He may offer some brief words of encouragement. He then gives us a penance to help us correct our faults, and turn our gaze to Jesus, the Merciful Father of us all. Some people can be very pessimistic about the numbers attending Confession these days. This can sometimes be understandable. However, my experience as a Confessor is that at Retreats, Reflection days, and where there is good preparation beforehand, confessions are plentiful. The pace of life is so quick and chaotic. We all know this. Confession is best placed in an environment of prayer and instruction. Locating God’s love and mercy in our life is a great opening. We might start with the Scriptures. In our Jubilee Year of Mercy we are encouraged in this fundamental starting point in our spiritual life. From this light, we can detect the dark shadows of sin and betrayal in our lives. These two experiences must be together. Mercy and sin are two sides of the one “coin.” We never consider one without the other. I think of the World Youth Days and National Youth Gatherings. Opportunities for confessions are sought after by so many. Confessors are kept busy! It makes the cynics who say the youth are not interested in the Catholic faith, and especially confession, look totally foolish! In this Lent, during our Jubilee of Mercy let us, as families, talk about the Sacrament of Penance. 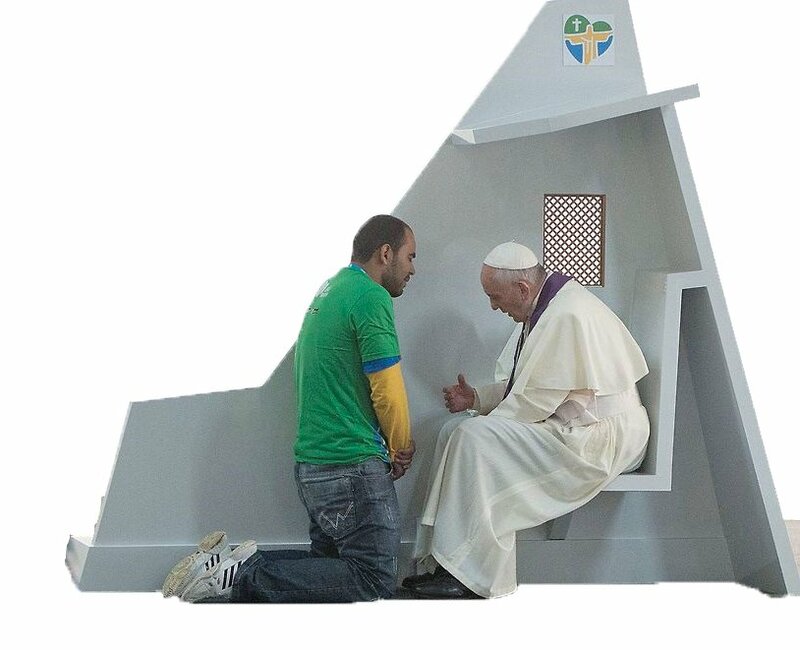 Let us encourage each other to go to Confession. The Father of Mercy awaits us!